Gina and Harry’s journey spans four decades and two continents, from the troubled industrial immigrant town of Lawrence, Massachusetts, to the blue-blood society of Boston, to South Florida where the dream of perfection is found and lost, to a new life in a dangerous, foreign land. Bellagrand is an epic journey, a suitable prequel to the momumental love story of Alexander and Tatiana. Simons wraps up all the plot threads cleanly, but not before wringing your heart and dragging you through an emotional roller coaster ride. 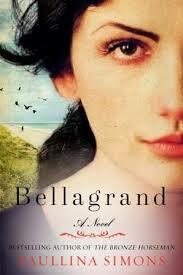 Bellagrand is a poignant and mature exploration of marriage and commitment, of sacrifice and consequences. It is a dark tale with rays of light that will touch you.